Dynamic, versatile, & creative are a few words to describe Liz Rachelle. 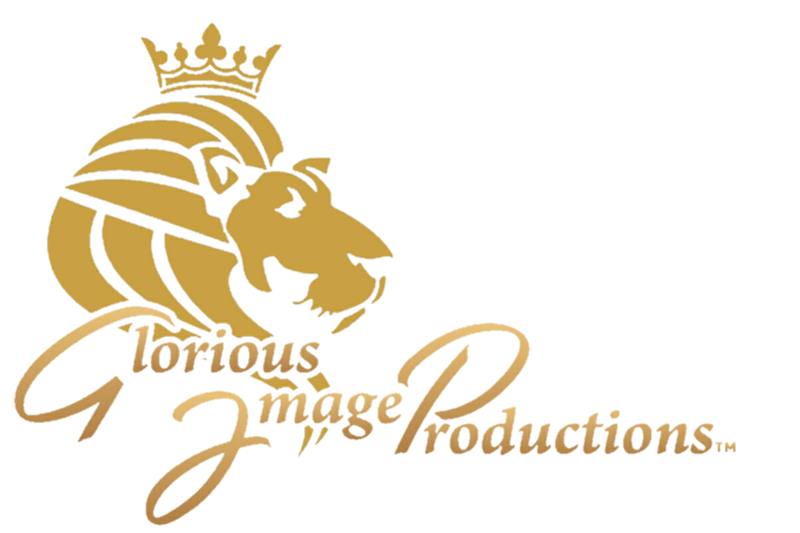 She is the founder and CEO of Glorious Image Productions; a production company that is committed to helping others fulfill their dreams, by creating opportunities for new comers and experienced artists. GIP believes in producing convicting, heart felt, quality entertainment that reflects God's Glorious Image! She also has a passion to uplift and motivate aspiring artists. “We all have a God given purpose in life that leads to our destiny, and if we are not actively pursuing our purpose on a daily basis then what’s the purpose of living?” Born Elizabeth Rachelle Earnest, Liz is a native Houstonian who discovered her many talents in the area of visual and performing arts at the tender age of 5. It was at this age she discovered she had the gift to create with her hands, and would always create massive art projects, costumes, mobile cars, sketch portraits, and whatever she could think of. At the age of 6 she was bit by the “acting bug”, when she was selected to be the winter fairy in her first Elementary school play. As a little girl she was able to hone her talents by the many opportunities afforded to her through private schooling. Liz was constantly performing in poetic recitals, dramatic arts, visual arts, and singing competitions, winning numerous awards for her performances. Her passion for the Arts was very evident, and the loving support of her mother and father pushed her to work hard and pursue her dreams. In 1991, at 9 years old, Liz began to expand her horizons by organizing the a cappella gospel group (Immanuel) along with her two sisters. With a style similar to Take 6, Immanuel was known for their smooth three part harmony and making their voices sound like instruments. The sisters were able to travel extensively singing on tours under the leadership of their manager and father, Fields G. Earnest. They have had the pleasure of opening for many renowned gospel artists such as: Shirley Caesar, Mighty Clouds of Joy, Yolanda Adams, Rance Allen and many more. Throughout their career, they have been honored to receive tremendous awards and exposure for their remarkable talent. While having a successful singing career at an early age, Liz also stayed busy in extra-curricular activities during her high school years. She was a member of the Debate Team, Art Club, Junior Achievement, Choir, and of course, the Drama Club. In 1999 she graduated from M.B. 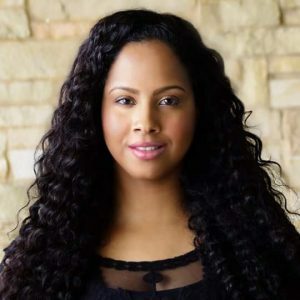 Smiley High School in the top 15 percentile and pursued her education at the University of Houston Downtown where she majored in Business Administration. Little did she know that everything she experienced from 5 – 18 years old was preparing her to meet destiny. For the last fifteen years she has astounded audiences with her talents of singing, acting, and dancing. Liz is also well known for her ability to take a script and memorize it in one day, and has amazed many directors with this incredible gift. She has performed in over 40 theatrical plays, musicals, and productions across the United States. Liz has performed in August Wilson’s “Fences” - Rose & “Piano Lessons” - Bernice; Thomas Meloncon’s “Jump the Broom” - Teresa; Harold J. Haynes’ (Encore Theatre) “Jezebel” - Jezebel, “Shout Hallelujah” – Sis Mouth, & “Behind Closed Doors” - Stella; Celeste Bedford Walkers’ “Over 40” – Patrica Ellen Shaw; (Ensemble Theatre) “Christmas is Coming Uptown” - Rene, “Sparkle” - Delores, & “Get Ready” – Eva Dee; Bace Productions “Motown and More Revue” – Diana Ross; “Crowns” – Wanda, and many more. She has also performed in Manhattan, New York in the hit stage plays “He Is” - Scarecrow, and “Emancipation” - Trixie. Her film credits include: “The Player’s Manuel”, “Queen Pen”, & “SHINE”(actor and producer). Liz has been blessed to grace the stage with various artists such as: actors, Clifton Powell and Khalil Kain, singer Shirley Murdock, musician Ray Chew, and renowned Broadway choreographer, Padro Harris. In 2008 Liz explored her gifts of writing, producing, and directing. She has successfully produced two theatrical productions “The Christmas Encounter”, and “It Is Finished”, and is currently working on two more projects. The Christmas Encounter encompasses a cast of 20 members and explores the life of a young woman who is walking a deadly path, but is redirected by a supernatural encounter. It Is Finished is a theatrical Epic Drama that lets you gaze into the life of a man who's love penetrated the depths of hell, and changed the course of history forever! With a cast of over 50 members, It Is Finished has been viewed by over 2,000 patrons, and has a following that is continually growing. Liz got her start in professional theater in 2004 at Houston’s Encore Theatre, and in 2015 she was inducted into the Encore Theatre’s Hall of Fame where she performed in over 10 theatrical shows. Liz has also been privileged to work with the NAACP ACT-SO (Afro Cultural Technological- Scientific Olympics) program. For three years she competed in the nation-wide high school competition where she was awarded silver and gold medalist (1998-1999) for contemporary vocal. From 2004 - 2010 Liz served on the ACT-SO Board as a production staff member, competition judge, and musical assistant. She is among thousands of people who were given the opportunity to develop their artistic talents and gifts through this program. Along with these achievements, Liz competed in the 2005 Miss America Pageant where she was awarded Miss. Congeniality, and she holds the title of Miss. Juneteenth of Texas 1999 awarded by the NEA (National Emancipation Association). Liz is a remarkable young woman who doesn’t believe in limits and will stop at nothing to reach her destiny. “When you are free in your heart and soul to fulfill your purpose the sky is the limit. Therefore, I don’t believe in limitations, I believe in liberation!"